This stunning chandelier, made up of six distinct globe cages, is the centerpiece of the collection. Breathtaking to look at, it virtually transforms the room in which it’s suspended into an informal but quietly impressive space. It turns its light into a distinct character that enables us to appreciate its effect having been sourced from such an unusual but at the same time classic design. Forged and hammered in Suffolk, close up, its bespoke nature becomes clear, with every hand crafted manipulation having left subtle shadows on the iron. As seen in Heal's, this Globe Chandelier is part of an exclusive collection of iron pendant lights, designed by Anthony Dickens. 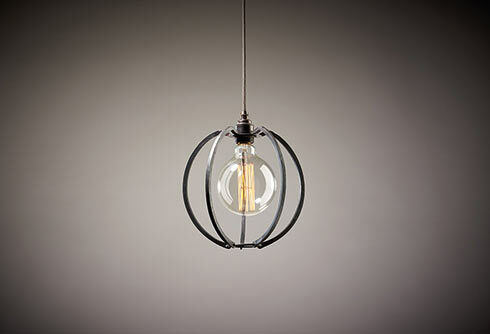 The designer has re-imagined the everyday cage light by using design details and craft techniques unique to the forging process. The drop height of the chandelier can be changed to your desired hanging height through alteration of the wire length. "The Farrier's Cage range... makes blacksmithing relevant to a new design-conscious audience." 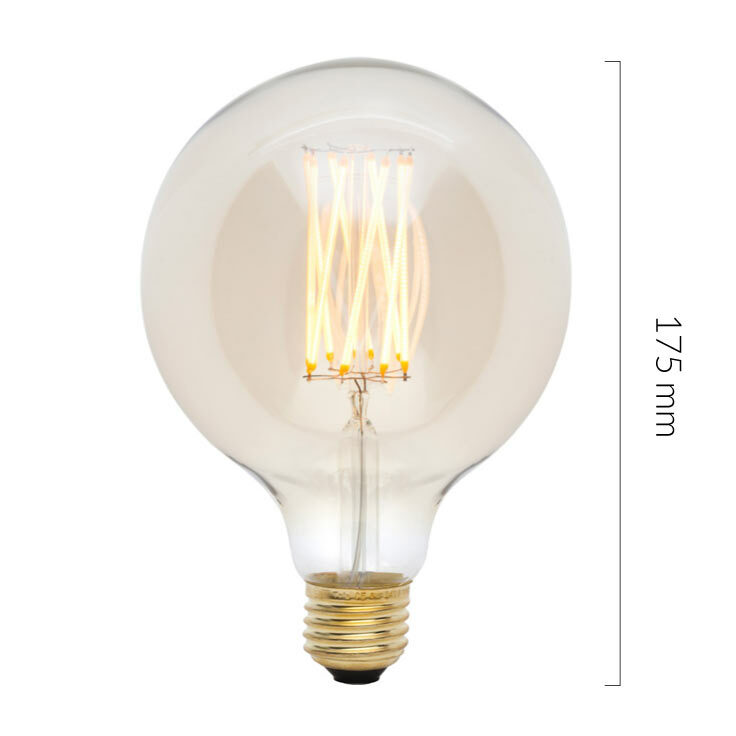 Bulb E27 6 watt LED, 480 Lumens, 2200K. 30,000 hours. Height: 175mm, Dia: 125mm. Dimmable with trailing edge dimmers. Indoor use only. "I wanted to celebrate the century's-old tradition of blacksmithing, bring it up to date and make it relevant to a new audience. So we re-imagined and every day cage light by using design details and craft techniques unique to the forging process."